Around 54,000 petrol pumps all over India have called for a 24-hour strike from midnight on October 13. Petrol and diesel prices were slightly higher today, as compared to Sunday's rates. Petrol rates and diesel rates today were marginally higher as compared to Sunday's prices. Currently, petrol rates and diesel rates are revised on a daily basis, applicable from 6 am. Excise duty on petrol and diesel were cut last week (effective October 4), which has brought down the prices of the fuels by over Rs 2 per litre. Meanwhile, the central government has urged states to cut VAT on petrol and diesel. Currently, petroleum products don't come under the GST regime. The Centre had last week cut excise duty on petrol and diesel by Rs 2 per litre each to provide some relief to consumers from a three-month long relentless price hike. Today, prices of non-branded petrol were at Rs 68.45/litre in Delhi, Rs 71.23 in Kolkata, Rs 77.58 in Mumbai and Rs 70.93 in Chennai, marginally higher from Sunday's price, according to Indian Oil website. 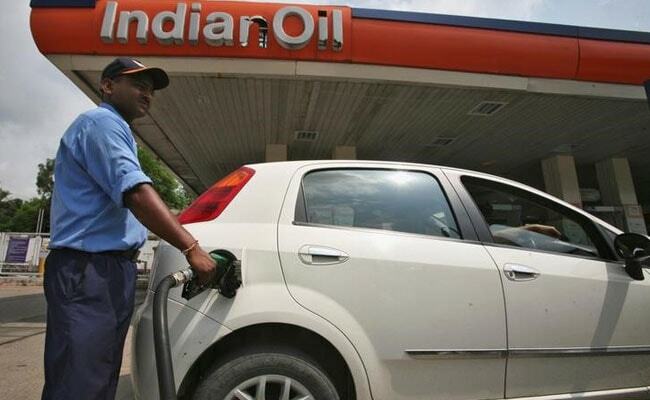 The price of unbranded diesel was at Rs 57/litre in Delhi, Rs 59.66 in Kolkata, RS 60.55 in Mumbai and Rs 60.01 in Chennai, according to the Indian Oil website, slightly higher than Sunday's price. Around 54,000 petrol pumps all over India have called for a 24-hour strike from midnight on October 13 demanding inclusion of petroleum products under GST and other long pending issues, an official of a petrol dealers association said. A decision on the strike was taken at the first joint meeting on Saturday of United Petroleum Front (UPF), an umbrella organization of three nationwide organisations of all petrol dealers - Federation of All India Petroleum Traders, All India Petroleum Dealers Association and Consortium of Indian Petroleum Dealers . "As the first step, we shall stop buying and selling petrol/diesel at all the 54,000 pumps in the country on October 13. If our demands are not accepted, then from October 27, we shall launch an indefinite nationwide strike till all the trade anomalies are resolved," said Federation of All Maharashtra Petrol Dealers Association (Fampeda) President Uday Lodh.